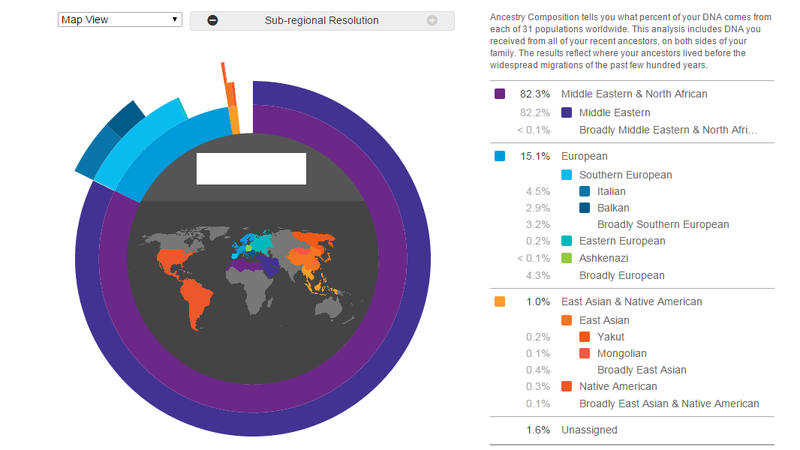 23andme proves South Ossetians are a homogenous group and have not mixed with Kartvelians. Don't you have a contrasting plot for Kartvelians? My father is sharing 6cM with an Ossetian (Dimitrius Wandalorum et Alanorum). Probably it's an old IBD segment. Nah, it doesn't show that as all. This sounds like a political post. 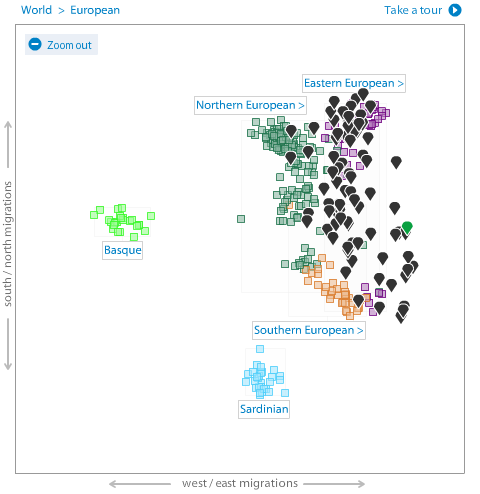 The fact 80+% of the ancestry is shared with other Caucasians groups like Georgians, Armenians, Azerbaijanis within the "Middle-East" subgrouping shows the opposite. Nah, it doesn't show that as all. This sounds like a political post. Even if it was, I still have a stronger case than you. 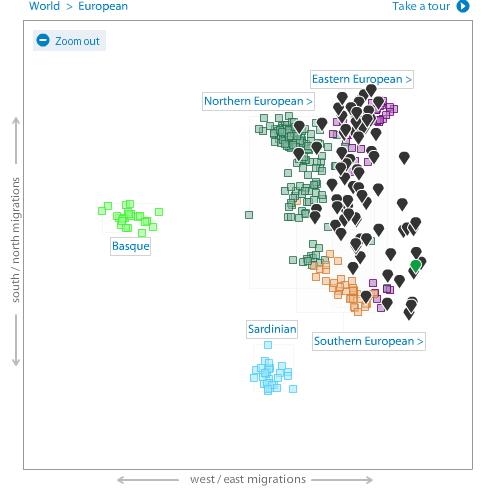 The fact 80+% of the ancestry is shared with other Caucasians groups like Georgians, Armenians, Azerbaijanis within the "Middle-East" subgrouping shows the opposite. Why don't you provide a source for this "fact". Hmmm? I'd like to see full autosomal results not assumptions made from y-dna or mtdna. Have you posted the right plot for South Ossetian? I'm sharing with a Georgian whose green marker is right on top of that one. Last edited by J1 DYS388=13; 02-09-2015 at 07:57 PM. Asparuk's point is that Ossetian populations cluster in a different position on PCA's from Georgians and the differences within Ossetians aren't pronounced and perhaps what one would expect from an isolated mountain group (only ~3% autosomal component difference). The divide between Ossetians and Georgians (indicated by above) certainly appears larger than between the North and East European clusters. Just to corroborate your inference with numerical data (more helpful and less liable to misinterpretation), do you have the GEDmatch IDs of Ossetian individuals, Asparuk? You should run them through an up-to-date calculator and share the top 20 genetic distance (GD). As a comparison, you could also find an Armenian ID and display that. 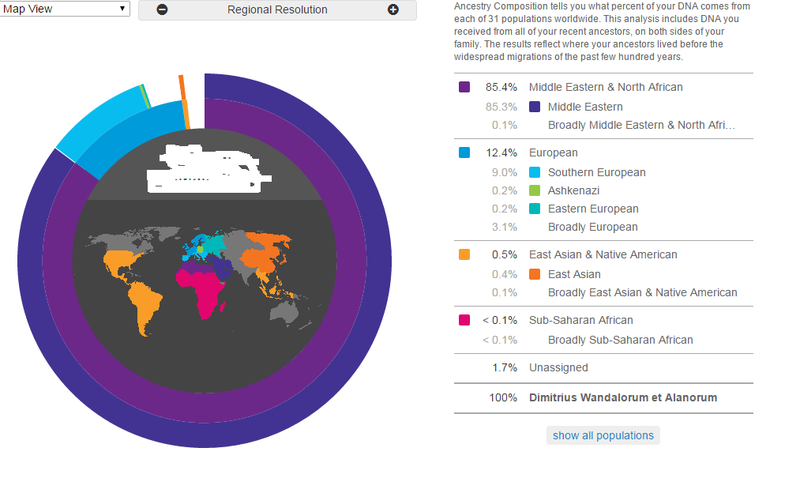 You do have autosomal results, it's called Ancestry Composition. Hell, it's not perfect but it does the trick. I don't see how this doesn't make you have Kartvelian ancestry.